It’s not only fish market at Tsukiji where you can visit. 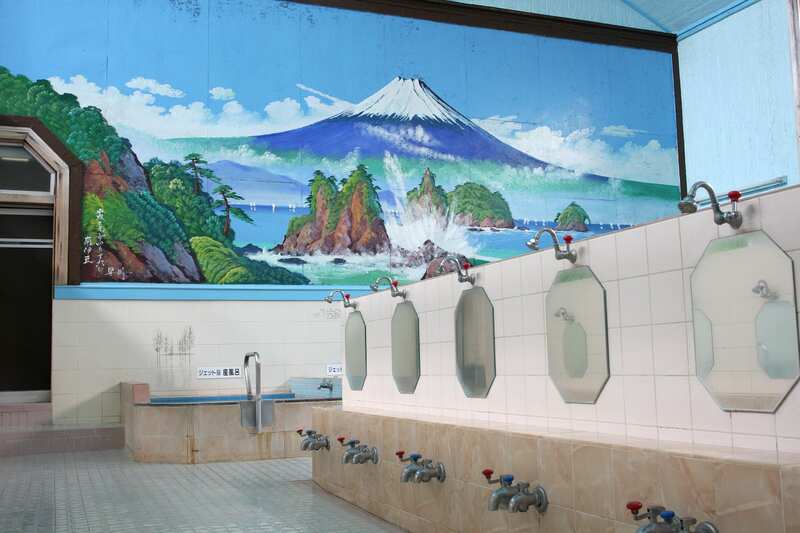 There are many public bathhouses called “sentō” in Tsukiji, historically for the local people. We’ll show you one of the sentō ”湊湯Minato Yu” you can visit by walking from the Tsukiji sightseeing spot. Japanese way of bathing is naked and enjoy the bath together, let’s enjoy it at Tsukiji , downtown in Tokyo,! “Minato Yu” is a sentō which located near八丁堀(Hatchōbori) Station in Tokyo. It doesn’t look like a sentō. A chic and fashionable exterior. You pay at the front desk instead of Bandai. At Minato Yu, besides large bathtub and washing space, they have also a sauna. If you want to use a sauna you have to pay extra. At the front desk, you also can buy soap, shampoo, and towels. 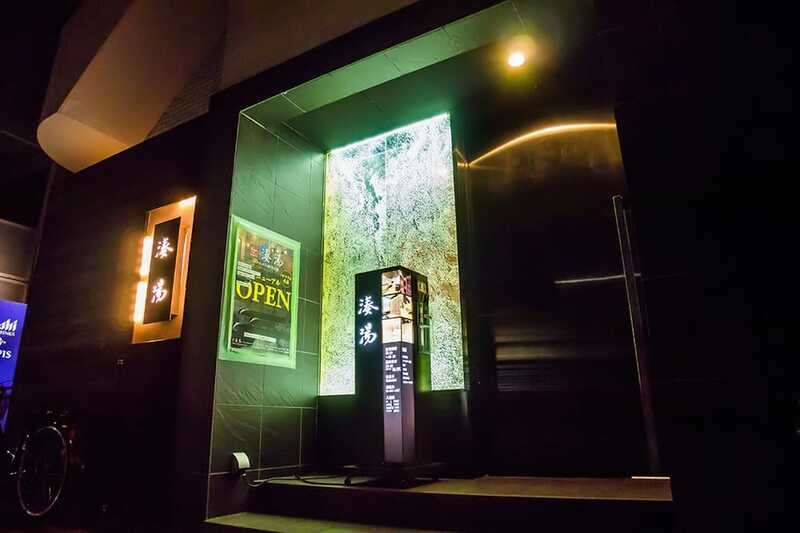 Enjoy sento as a part of your sightseeing! 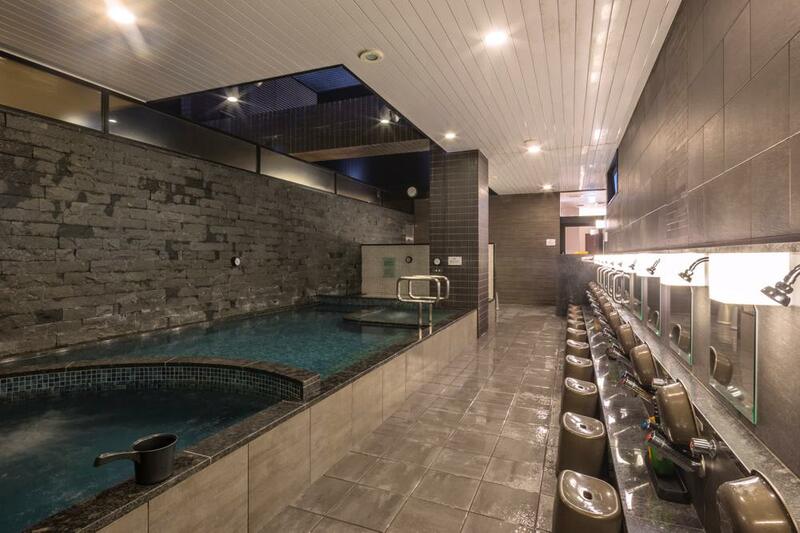 In the bathroom of Minato Yu, there are several kinds of bathtubs, washing spaces and a sauna. One of the bathtub is “Denki buro (Electrical bathtub)”- Massaging effect with weak electrical stimulation. Another one is “Silk buro (Silky bathtub)”- Beautiful skin effect. Water temperature set slightly on the hot side because most of Japanese like it. So please be careful when you get into the bathtub. They use soft water which is good for your skin in the bathtub. At Minato Yu there are two different types of bathrooms. The location of the washing space is different and there are different shapes of bathtubs. It changes every week for men and women. So when you stay longer, you can visit here and enjoy both types of them. When you go to sentō , bring a towel for drying, a towel for bathing, soap, and shampoo with you. The entrance has two types. One is separate entrance for men and women – 番台(Bandai) Another is men and women are separated in the lobby-フロント（front ）. In either case, men and women should separate after pass through the noren (curtain). Take off all your clothes at the changing room. You may bring your towel for bathing with you in the bathroom. But please don’t put it in the bathtub. Before getting into the bathtub, wash yourself by taking a shower or using warm water of the tub.